With Azure SQL database, it is possible to replicate your on-premise database(s) with database(s) on the cloud in order to ensure application availability. In this article, we will see how we set up SQL Server transactional replication between an on-premise database and a database on Azure. We will deal with setting up SQL Server transactional replication—only supported feature of Azure SQL database. In this case, we are performing a database migration with a very short downtime using SQL Server transactional replication. I’ll discuss more in detail to setup and configure replication. To be able to set up SQL Server transactional replication on Azure, you need to have some familiarity with Microsoft SQL Server Transactional Replication as well as the Azure SQL database cloud services. It is mandatory that you meet the following requirements in order to set up SQL Server transactional replication on Microsoft Azure SQL Database. Let’s set up SQL Server transactional replication to Azure. 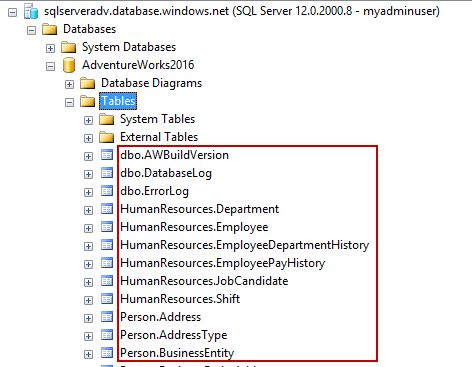 In this guide, I will use the Adventure Works database for setting up the replication from SQL Server to Azure SQL Database. You can download the adventureworks2016 sample database. In this article, I am going set up a SQL Server transactional replication by selecting a SQL Server 2016 as the publisher and distributor, and an Azure SQL Database as the subscriber. You can refer to the Prerequisites section for more details. First, let’s configure publisher and distributor on the SQL Server 2016 server. In the next section, you’ll see the steps to configure distributor. The steps are no different than setting up a normal replication. You can refer to a previous article of mine to see the details about the distributor configuration. Note: The default values are used in all pages. This way, it will be very easy and straight-forward to understand how to configure distribution database. You can then make changes according to your requirements, based on the understanding you gather this way. In this section, we discuss setting up a publisher. As we know that during the setup, we can see a different type of replication that we can enable through the wizard. Note: Since we are doing a full database migration, we are not going to set up any type of table row filtering. Creating the subscription is the last step in setting up transaction replication. Note: Select pull subscription would not work. And for subscribers, I’m going to add a new subscriber, and this is going to be the Azure server. In this article, we discussed how to perform a full database migration to Azure SQL Database using Transaction Replication. In this guide, I have selected all the objects in the database. In most cases it depends on the complexity of your schema. You might use SQL Server transactional replication along with other combination of data transfer methods for non-primary key tables. I hope this article gave you an idea how to perform database migrations. I hope you liked this article. Please leave your feedback in the comments section.